Carrier Transicold’s new compressed natural gas (CNG)-powered Supramulti-temperature truck refrigeration unit has just received PIEK certification, with a noise level below 60 dB(A). Noise reduction is particularly important for truck deliveries in high density urban areas in the morning or late at night, as moremunicipalities across Europe enact noise ordinances. This award-winning Supra unit is ideal for urban distribution, offering fresh and frozen multi-temperature applications in up to three compartments. PIEK standards, introduced in the Netherlands in 2003, were developed in response to growing concerns from local governments and supermarkets to reduce noise levels for night deliveries (between 10:30pm and 7:00am). PIEK-registered technology must not surpass 60 decibels, the equivalent of normal conversation. While the Netherlands paved the way in this field, the standards have been adopted in many European cities. The CNG-powered Supra refrigeration unit engine reduces noise and vibrations as well as fumes and smoke, as compared to compression ignition diesel engines, which helps improve operating conditions for drivers and the communities they serve. Night-time hours are ideal for urban delivery so quiet refrigeration units are key. Because traffic is less dense, route times can be significantly shortened, reducing fuel consumption and carbon dioxide (CO2) emissions, and decreasing the risk of accidents. Night-time distribution also gives retailers more delivery options, which can help them better manage inventory levels to satisfy customer needs. Indirect air entry and special top cover designed to reduce acoustic vibrations. Integrated foam sound insulation on unit doors. Up to 95 percent reduction in particle emissions. Up to 70 percent reduction in nitrogen oxide emissions. Possibility of using biogas made of organic waste, further reducing CO2emissions by 80% to 95%. Designed to use a single fuel source for both the engine on a CNG-powered truck and the refrigeration unit, the Supra unit requires just a single refill point, which can save time and money and help increase operator productivity. 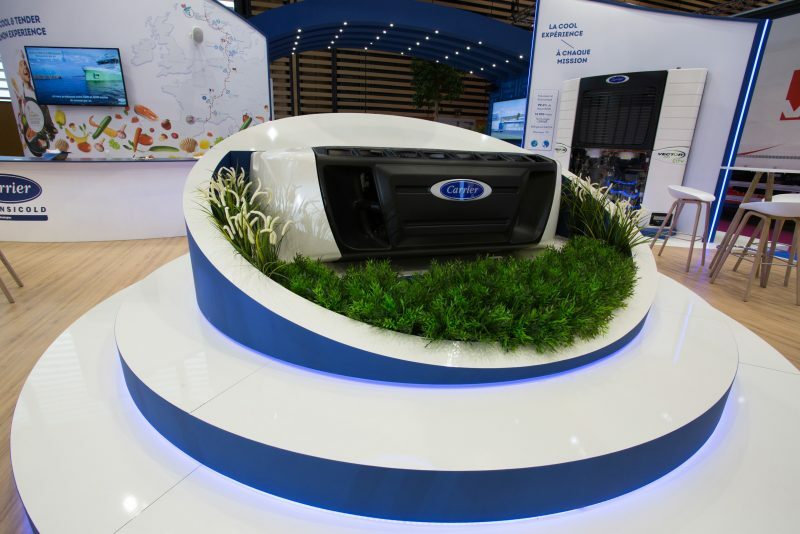 Fitted with an independent tank for the refrigeration unit, it has full autonomy, maintaining cold chain integrity even when the truck isidling or stopped.